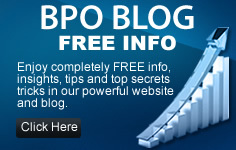 BPO Automation Group, LLC is not affiliated with, sponsored by or endorsed by any of the companies mentioned on this webpage. Any trademarks, service marks, logos, and/or domain names (including, without limitation, the individual names of products and retailers) are the property of their respective owners. This Site Was Last Updated on 04/01/2018. Copyright © 2009-2018, BPO Automation Group, LLC and BPO University LLC, Nicole Ocean and Your BPO Coach.